Here is Part Three of my feature about Nina Munteanu and her audiobook series The Splintered Universe, narrated by Dawn Harvey, presented in association with Audiobookworm Promotions. The Splintered Universe is science fiction, published by Iambik Audio, and consists of three separate audiobooks. 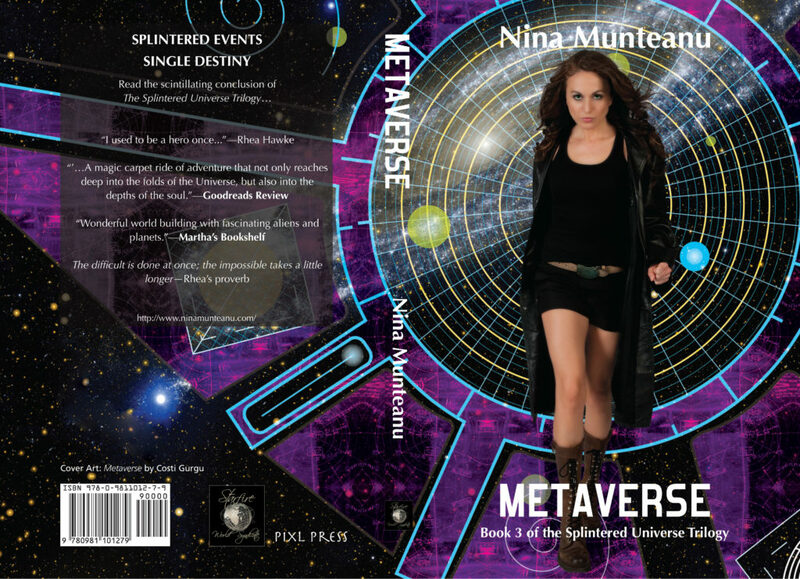 In the third book of the Splintered Universe series, entitled Metaverse, Rhea Hawke travels back to Earth, hoping to convince an eccentric mystic to help her defend humanity from an impending Vos attack – only to find herself trapped in a deception that promises to change her and her two worlds forever. My friend and fellow writer (and editor and proofreader and transcriber and discerning reader) Nicky Borland just did a Q&A with me on her blog Finding the Words, The Q&A is mostly related to the writing of my novel A Time and a Place. Nicky’s blog is devoted to, as she puts it, “bookworms and word nerds.” That definitely describes me! I really appreciate Nicky taking the time to feature a Q&A with me on her blog. I hope she doesn’t mind me mentioning that she’s also working on a novel herself. I’ve read an early draft, and it’s really good. Hopefully she will get it out into the great wide world soon so everyone can enjoy and appreciate it. You can find the Q&A here. A tribute to my nephew, Filmmaker Ryley Beach. Jessica Carol Sanders interviewed me on her podcast Jesse’s Coffee Shop recently. There are a few advertisements off the top, but you can click past them to the interview at about the six minute mark. It was quite a lengthy interview and a lot of fun.